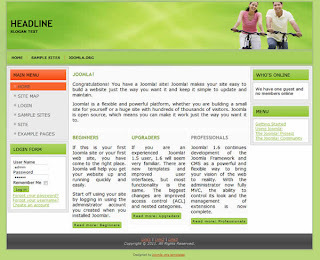 3 column Joomla 1.6 cms template with green color scheme available for download. 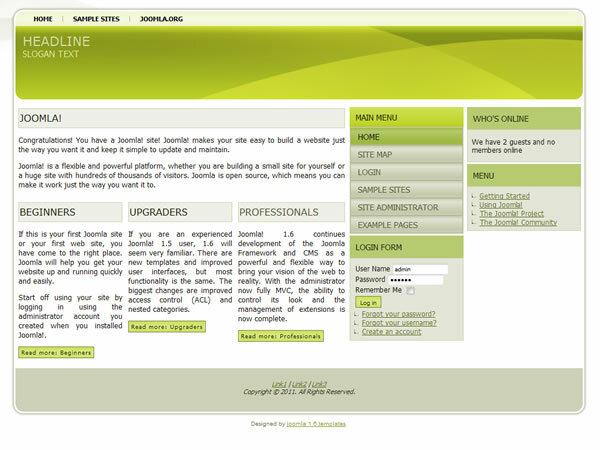 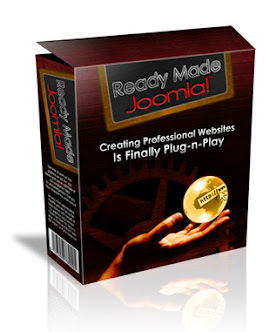 This free Joomla 1.6 template with 25 modules position is suitable for many different website projects. 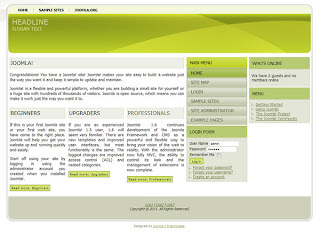 Free 3 column Joomla 1.6 template suitable for doctor or dentist office website ready for download. 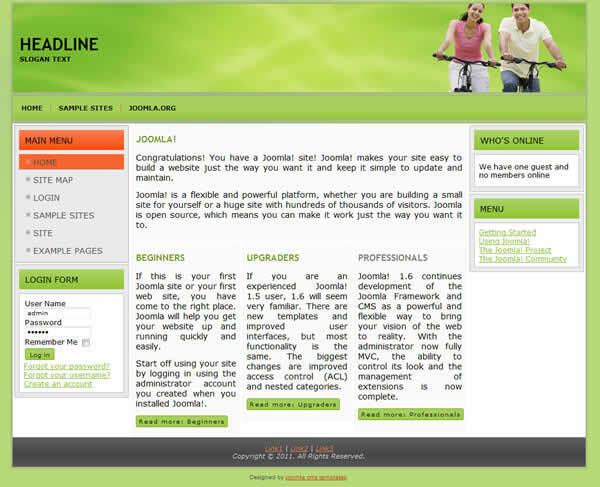 This free joomla 1.6 template has white background and green header with horizontal navigation bar on the top.